Assessments can be protected by an access code which students must type in before they can start working. 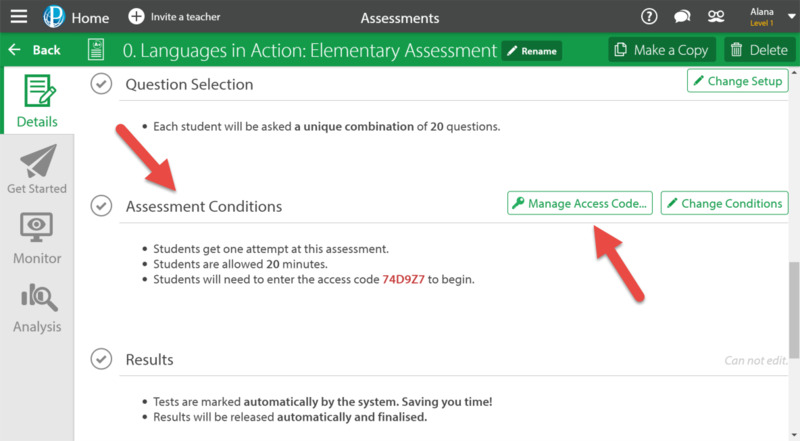 You can also change the access code after an assessment has been created. 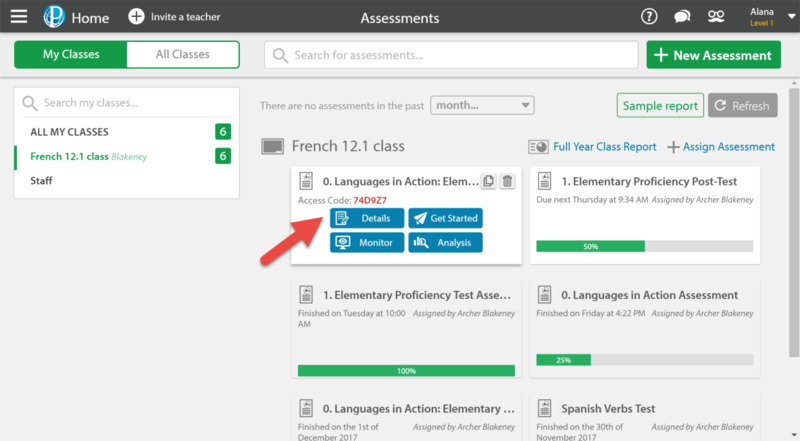 You may want to change the access code if you're using the same assessment twice with different classes at different times. This stops students from the first class sharing the code with the second class, potentially giving them access before you're ready. 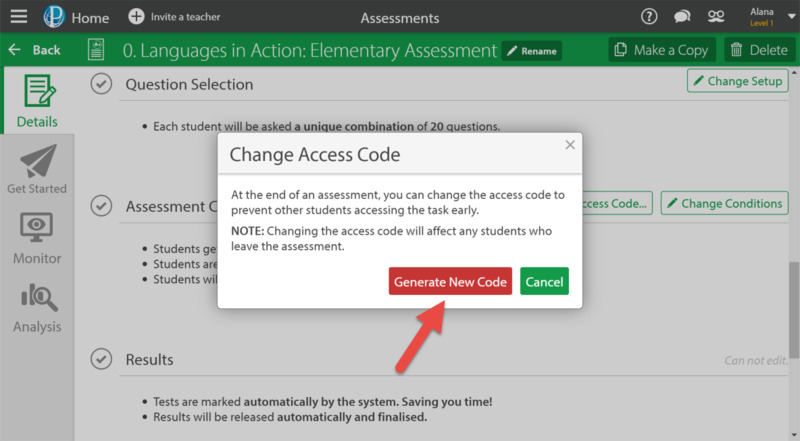 If you change an access code while students are still working on the assessment, they will need the new access code to re-open it if they leave for any reason. 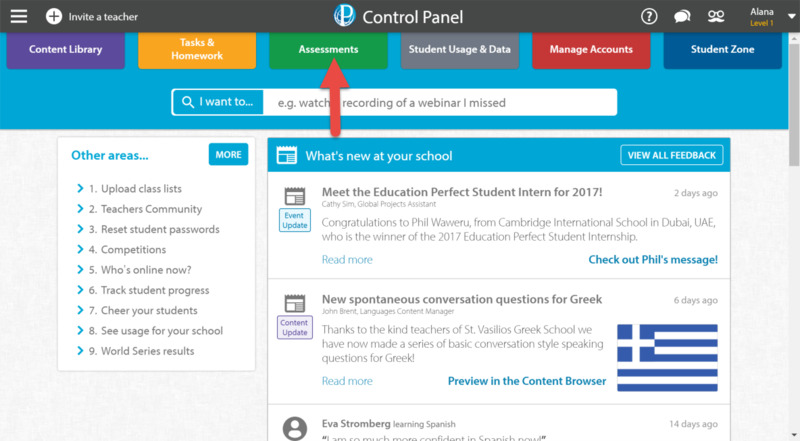 Open Assessments from your Control Panel. Hover your mouse over the assessment that you would like to change the access code for by selecting Details. Scroll down to Assessment Conditions and select Manage Access Code. Click Generate New Code and then Save Changes. Students who have not yet started the assessment will now need the newly generated code to begin their assessment.